Suffer from depression? :- I’m reaching out. Have you ever just thought ‘I’ve had enough’ or ‘I’m over this’, in a serious manner? Not just an off the cuff moment, but been in a seriously dark place? Have you ever sat in, under and covered by the cloud of depression? Have you ever needed to reach out to someone or people that would understand? Just not sure who? The world we work and live in can be at times fraught with tension and mistrust. Yet there are moments that we experience great release and true joy and times like these are true gold in our lives. Coming from the background of a Channel or Energy worker there is a perception of ‘what? You’re depressed?’ and the feeling of how can you do what you do, while being labelled with ‘Clinical Depression’ or just Depression was very real. Although I can understand that people could have felt that the depression may have interfered with my work, the judgement that was felt was that I needed to be a certain way. It was as if I needed to be ‘whole’ and ‘healed’ in order to connect with the Higher Energy. I was given hugs and told that I should refrain from certain foods and drink to be ‘clear’ and ‘whole’. I felt shamed by the same people who who verbalised the ‘love n light’ mantra. All this did was make me hide further from whom and what I was on the inside. Yet this also enabled me to reach further within myself and connect with the Universal Healing and discover my path to self-healing. It allowed me to learn to totally step out of the way and be detached from the message coming through in a whole new way. There was no one that I could reach out to in our community, the few times I did there was a tangible feel emanating from the other person of ‘tread carefully, don’t say the wrong thing’ and this is not helpful. Not helpful because I wanted the truth, I wanted to find out the keys back to sanity. I desperately wanted to talk to someone in the esoteric world who could see into my eyes and tell me it’ll be OK, here is what YOU need to know to get through this. Note I did not want a magic wand, I did not want to be patted on the back and rocked like a child, I wanted to know hope, keys of assistance and most of all that I could break out of this prison. Not all depression is the same I get that. You have the labels of the depressive states; Bi-Polar, Major, PDD, SAD, Psychotic, Postpartum and the list goes on. These are all very real and having been in the midst of it all I understand we all need assistance in various ways. Though I know that with the right help we can break through the walls in our head and come out the other side. Sometimes it is via meds and sometimes we can do it without those chemicals. I have stood in those dark places. 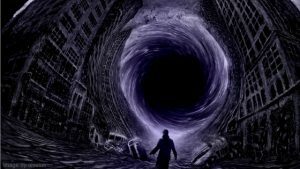 I have been in the vortex or the spiral of depression and can understand the fears, anger, and frustrations of being told ‘get over it ‘or’ stop being so down. Nothing says ‘jump’ louder than perceived judgement. When the voices are chatting away in your head, or worse its deathly silent and you need to make a choice on something important. When eyes are looking at you from faces of loved ones or work mates waiting, I know the cold trickle of sweat and fear that rises up from deep within and says run. Tells you to lash out in defence, it’s not fair, they shouldn’t gang up on you. This is happening in real time yet there is always this part distant, observing, and trying to tell you that it’s OK. That everything is going to be OK, but that part of you can’t be heard over the clamour of the internal noise that ties you up. Creating the inability to think or act normally. Those times when you sit in a crowd and realise that you are at your loneliest, not because you alone or on your own but due to the black cloud that follows you around and is only kept at bay by medication which masks your true self. If you are ready, committed to wanting to change, contact me. Send me a Skype message at ascension.explorers and let me know its connected to this blog. I will gift you 30min of my time to start your journey. I have walked this route. I have been diagnosed clinically depressed, been on the verge of suicide and tried to end my own life by walking into the ocean fully clothed, but that’s another story. I have been on medication. I have become someone my loved ones did not recognise on and off the medication. I found a way out of the spiral of blackness. I weaned myself off the meds onto a different way. I am now 3yrs off meds and no longer taking daily assistance for the depression. Am I cured? I say yes, with a caveat, I still have moments of being down and depressed BUT I do not live with depression. Or should I say depression does not live with me any longer! If you would like to skip the initial talk and get into your path to healing book a session and talk to me, find out how I became my own person again and see if this would work for you. Please note I am not a doctor, I am not a practitioner and do not advocate stopping your medication. I take no responsibility for that but I will give you alternatives to think about, to look at and see if they fit you. I will advise you to speak to your health adviser, GP or Naturopath.